Six months after their U.S. debut, Apple has finally made movies rentals, along with purchases, available to iTunes customers in the UK. On the plus side, new film releases for purchase will be offered the same day as their DVD release and, in a near industry-first, the viewing window for rentals has been extended to 48 hours (from 24), whereby customers have up to 30 days to start watching a rented download, and once the movie starts they have two days to finish it or watch it multiple times. As we wrote in our earlier analysis of Apple’s U.S. iTunes movie offering (Content, pricing and convenience. 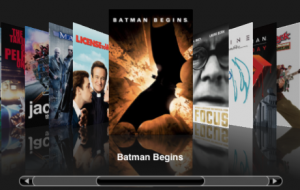 How do movie rentals on iTunes fare? ), a 24 hour limit “makes it impossible to split a film over two nights, a requirement that is more common than you’d think, especially for those with kids”. The range of content isn’t too bad and now that things have kicked off, should steadily improve. As of today, 700 movies are available in standard definition from major film studios including 20th Century Fox, The Walt Disney Studios, Paramount Pictures, Warner Bros., MGM, and Sony Pictures, with around 100 HD titles for rental via the the company’s set-top box AppleTV. However, on the downside, pricing is off-puttingly high, especially for purchases — £6.99 for back catalog titles and £10.99 for new releases. While rentals are £2.49 for older films and £3.49 for new releases, with high definition versions costing a pound more. Update: Canada also gets its iTunes movie fix today, with 1,200 films available for rent or purchase (see press release).